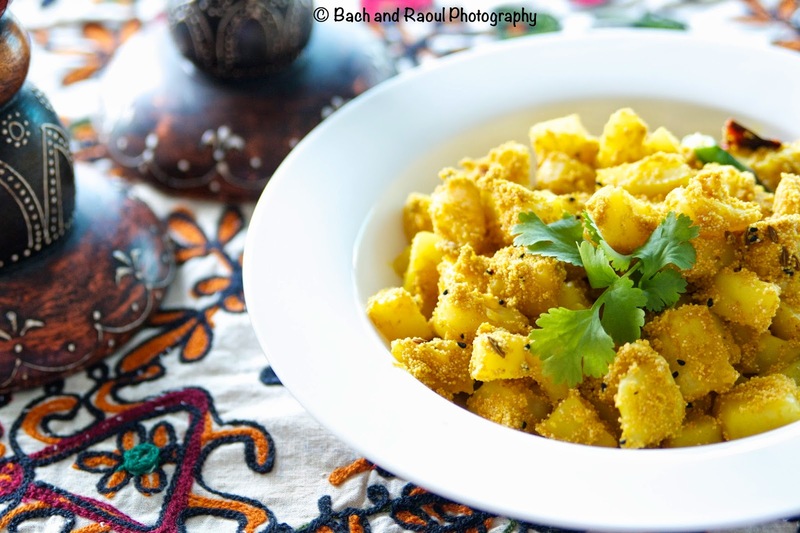 My blog posts (and diet) have become fairly meaty in the last few weeks and I am starting to crave the simplicity of some good old vegetarian classics. 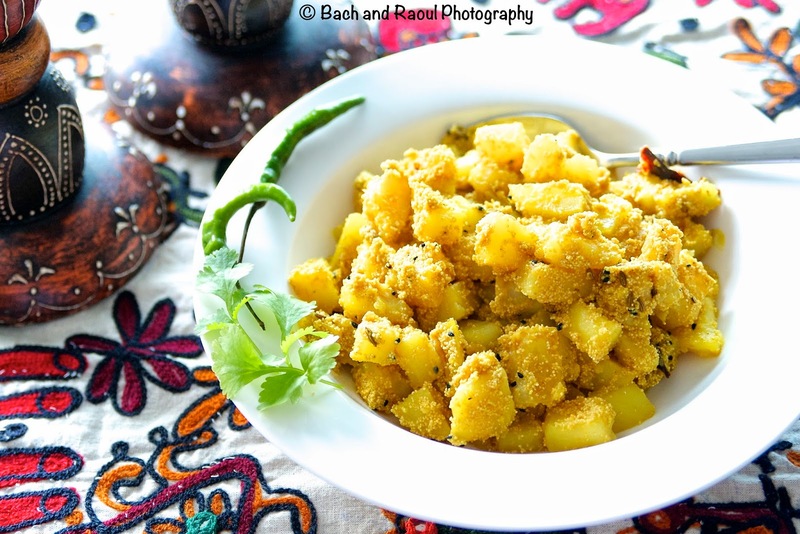 To a bong, there is no vegetarian dish more classic than 'Aloo Posto' - A simple potato dish cooked with poppy seeds. Don't be fooled into thinking this is a boring dish though, because it is packed full of flavor. Oh, and enjoy your tryptophan induced food coma! 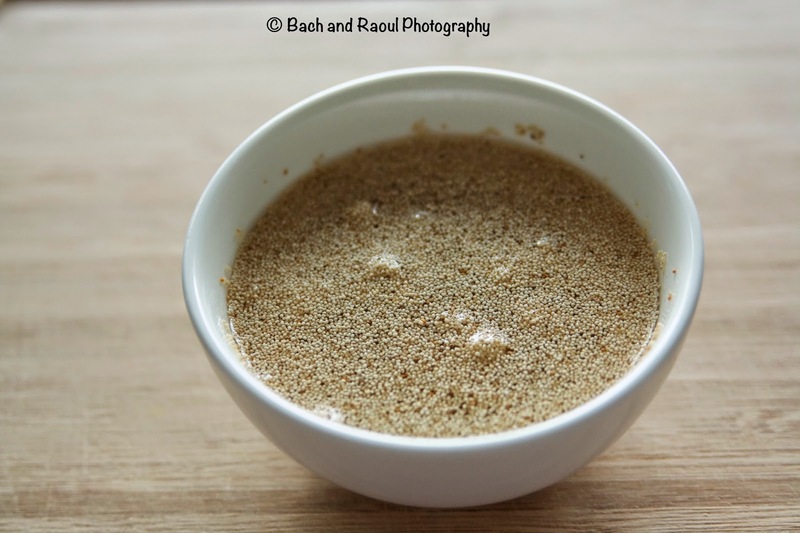 Soak the poppy seeds in half a cup of warm water and leave it overnight. The next day, blitz it together. I use a Magic Bullet to make my life easy! 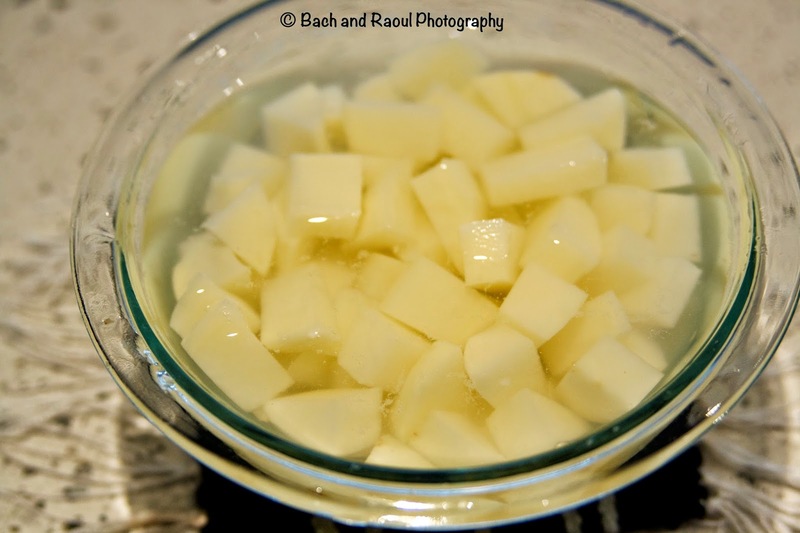 Peel and cut the potatoes in small cubes. Put the potatoes in cold water to keep them from turning brown. 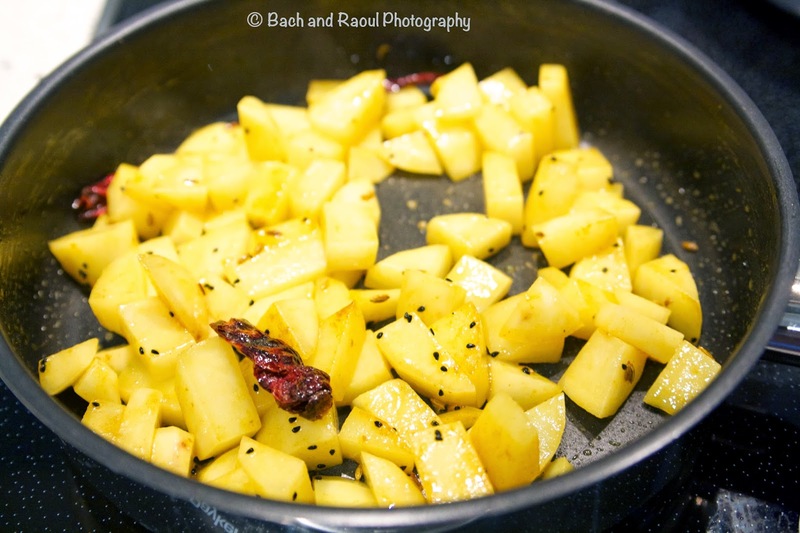 Heat oil in a pan and add the nigella seeds, fennel seeds, red chili, turmeric and asafetida. Let them all mix and sizzle for a minute or two. Remove the potatoes from the water and add the potatoes in. 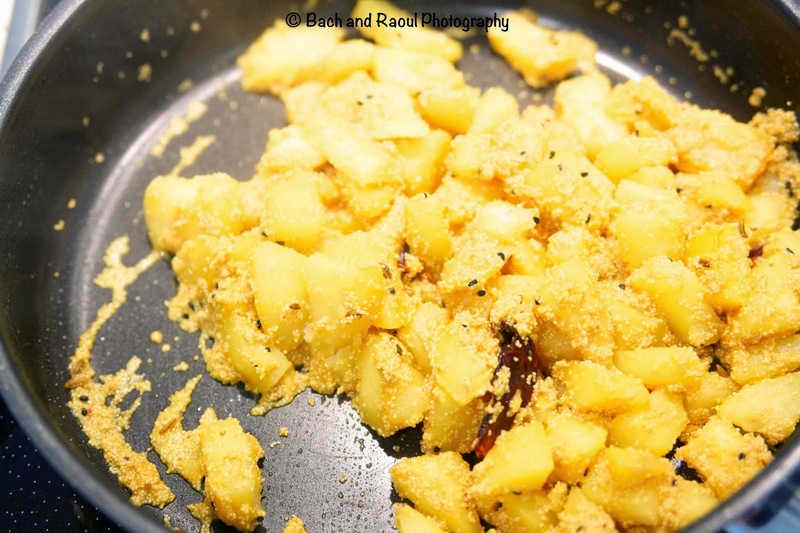 Sprinkle salt on the potatoes. Cover and cook on medium heat till the potatoes are cooked. About 6-8 minutes. Add the poppy seed and water mixture. Cook till the water completely evaporates. 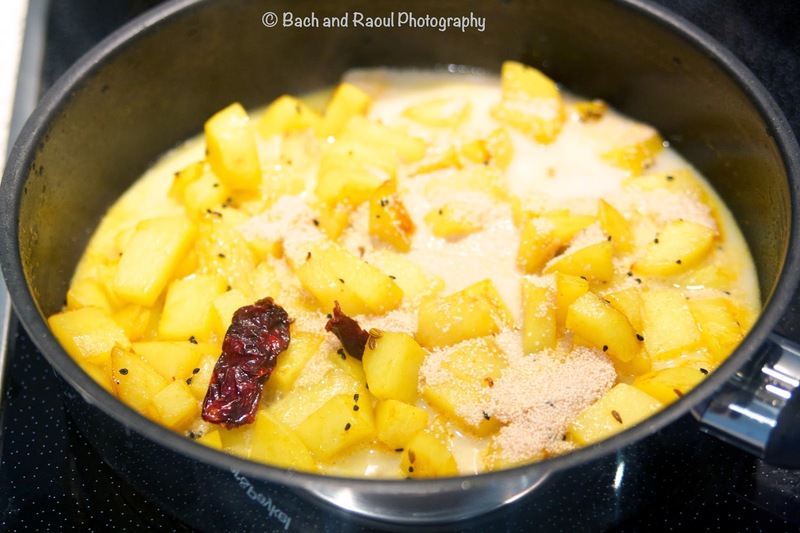 Serve with rice and dal. Enjoy! Welcome to Taste Chronicles! 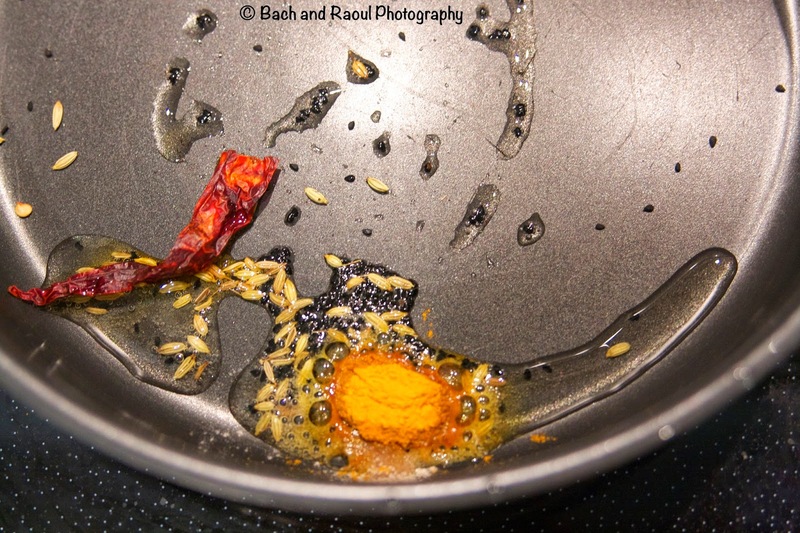 I am Bach - the writer, photographer and kitchen mess maker behind this blog.